WELCOME TO THE ALLIANCE GATOR 12 DAYS OF CHRISTMAS! From now until Christmas, we're giving away one present per day! Follow along as we announce the gifts and the names of our lucky winners. Congrats to our Day 11 winner! Brrrrrrr!!! Winters in Canada are COLD! 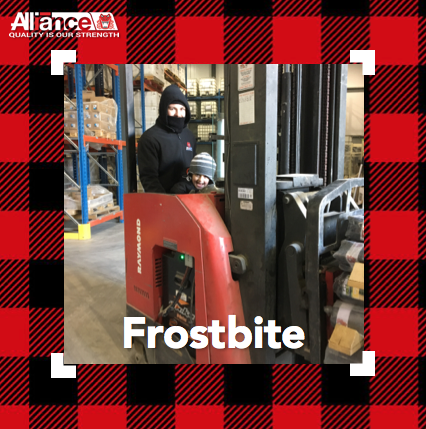 That’s why Luc Descheneaux, Sales Rep, Quebec, and his little helper bundle up prior to visiting the warehouse in December. With today’s gift, you can treat yourself to some toasty attire. We’re giving away a $400 North Face Gift Card!